The disappearance of Malaysia Airlines Flight 370 (MH370/MAS370) is one of the strangest and, as yet, unexplained mysteries in aviation history. Flight 370 was a scheduled international flight flying from Kuala Lumpur International Airport, Malaysia, to Beijing Capital International Airport in China. On 8th March, 2014, flight MH370 disappeared. Initially, the plane disappeared from civil aviation radar screens, but it was tracked by Malaysian military radar, when it strayed from its original flight plan. The plane then flew out of the range of military radar too, and disappeared completely. Despite an extensive search, no trace whatsoever has been found of flight MH370 or its 12 crew and 227 passengers. As time goes on, the mystery of what happened to the Malaysian Airlines flight just deepens and here are ten odd facts about flight MH370. 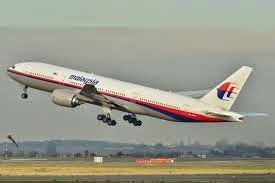 Whether flight MH370 exploded in the air or crashed into the sea, there should have been some debris found somewhere. There were some reports of a door having been found floating in the sea, but this was later disproved. No sign has debris has ever been found and it is now more than a year on from the tragedy. Just add to the mystery of why there is no debris, the plane was most likely to have crashed into very shallow waters. The sea in the area where experts estimated that flight 370 would have come down is only about 165ft deep. This should have made finding the wreckage of the plane, and its black box, a relatively easy task. One theory that has been banded around was that the Malaysian Airlines plane was brought down by a missile, which blew the plane into such small pieces, the debris cannot be found. The problem with that theory is that no such missile exists. When a missile brings down a plane, it leaves a huge spread of debris. The other problem with the theory is that missiles can be detected by radar and none were reported. 4. Many parts of an airplane float, so where did it all go? There are many parts of an aircraft that float, not least of all, the seat cushions that are designed to be floatation aids in the event of an accident. Leave alone the sunken debris that would have been relatively easy to locate in the shallow waters, where was the floating debris that would inevitably have been visible, had Malaysian Airlines M370 crashed into the sea? There were reports that relatives of the passengers had found that their loved ones mobile telephones were still active for some time after the disappearance of Flight M370. It was also reported that passenger cell phones were still registering on mobile networks in the region, all of which would suggest that the phones were still intact. Terrorism was, of course, raised as a possible cause for the MH37 disaster and, indeed, there were some people travelling on board the flight who were travelling under false passports. No terrorist group has ever claimed responsibility for the loss if the flight though, so it is now thought more likely that false passports were being used by drug smugglers. Air traffic controllers, both civil and military, do know where the plane disappeared and they even know its speed and its altitude. They should, therefore, have been able to predict, pretty accurately, where any debris should have been found. 8. What happened to the black box of Malaysian Airlines Flight M370? The flight recorders of commercial aeroplanes, or black boxes, are designed to withstand massive explosions and to transmit a homing signal for at least thirty days. The black box form MH370 has never been detected at all. Even if it was hijacked and the hijackers disabled the transponders, Flight MH37 would still have been tracked by radar from the ground. This, plus the fact that there been no demands made by terrorists, throws out the hijack theory as a possible cause of the disappearance of Flight M370 as well. The only thing that we know for sure is that Malaysian Airlines Flight MH37 disappeared on 8th March 2014. No wreckage, no black box, no debris and still no answer for the relatives of the victims of the disaster. Is it a conspiracy or a cover up, or some strange force at work that we don’t understand? Theories abound on the internet; what’s yours?